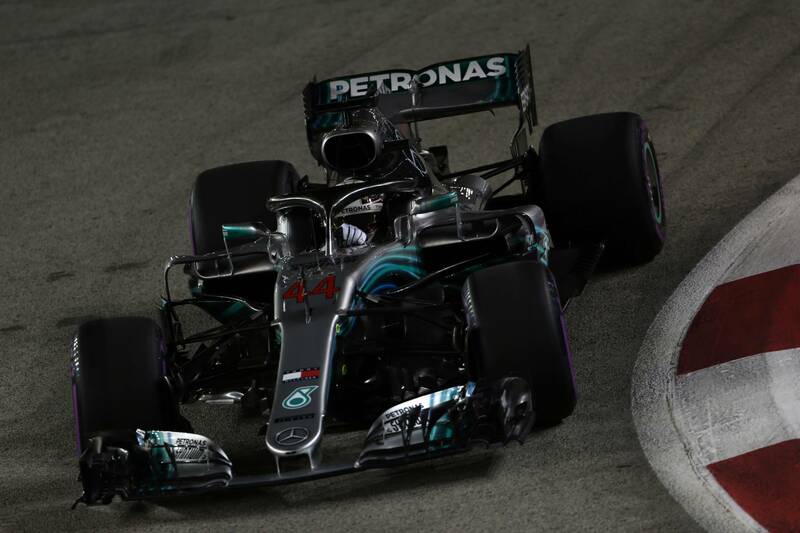 Tyres were the name of the game in qualifying for the Singapore Grand Prix, and it very nearly resulted in some surprise casualties - but ended with a masterclass from Lewis Hamilton. Qualifying for the Singapore Grand Prix proved to be one of the most exciting Saturday sessions of the season so far as, contrary to some predictions post-practice, we were treated to a three-time fight at the front of the field. Lewis Hamilton ultimately furthered his case to be deemed the greatest qualifier in Formula 1 history by charging to his 79th career pole, with his lap of 1m36.015s stunning the paddock. Hamilton used the word “magic” profusely in his post-qualifying media commitments, while Mercedes team boss Toto Wolff called the lap “surreal”. Hamilton edged out Red Bull’s Max Verstappen by three-tenths of a second, with the Red Bull driver being hamstrung by a recurring engine braking issue, with a late cut out costing him his final flyer in Q3. Sebastian Vettel was down in third for Ferrari, six-tenths off Hamilton, but said he didn’t think his title rival’s pole time was unbeatable. It was a really exciting fight for pole - yet it is one that all three teams had to be careful in negotiating through their tyre tactics as all were left short on sets heading into qualifying, nearly resulting in some shock casualties. The Hypersoft tyre - in use for only the third time this season - had been the quicker tyre through practice (naturally), with the delta between the two compounds across one lap being great enough to suggest it would be a mighty risk to try and qualifying on the Ultrasofts, even if that would offer greater benefits in terms of strategy in the race. Mercedes, Ferrari and Red Bull all entered qualifying lacking enough sets to do two runs in each stage with fresh Hypersofts, meaning they had to take a risk somewhere. Mercedes was the first to roll the dice in Q1, sending both Hamilton and teammate Valtteri Bottas out on Ultrasofts. Neither went particularly quickly on their first runs, but Mercedes did not pit them, cut their losses and fit a set of Hypersofts, knowing it only had four sets to get through qualifying. Both drivers improved on their second push laps late in the long stint they did, ending up 12th and 14th respectively, Bottas ahead of Hamilton. The championship leader was just 0.241 seconds away from a shock Q1 exit. “I definitely was a little bit concerned,” Hamilton conceded after the session. “But we were aware that we came here with the wrong tyre strategy, in the sense that others had more Hypers than us, so we needed to get rid of a Soft in P3 I think it was. “My friend [Sauber team boss Frederic] Vasseur sent me a text message and said: You know what the difference is between an idiot and a genius? Two-tenths!” Wolff added after the session. Alas, Mercedes had managed to get both its cars through, putting Hamilton and Bottas onto the regular tyre running for Q2 and Q3, affording them both the chance to do two runs in each session on the Hypersofts, given setting Ultrasofts as the starting tyre was out of the question. Hamilton blitzed his final effort to take one of the most convincing pole positions of his career. Red Bull was also able to put itself in the frame to do the same, also having only four sets of Hypersofts for qualifying. The team arguably took the least-stressful approach, sending Daniel Ricciardo and Max Verstappen out early on Hypersofts in Q1 so they could post a quick enough time to get through to the next session without needing to run again. Both duly delivered before using the same play in Q2: get out early, set a quick enough time, then save tyres. The biggest risk was that the initial runs either time around would not be quick enough, but the team ensured it was always on the right compound. While both Wolff and Hamilton doubted it was possible to get through Q2 on Ultrasofts and secure the purple-ringed compound for the start, Ferrari decided to roll the dice and give it a go. Vettel and teammate Kimi Raikkonen may have made it through Q1 on a single set of Hypersofts, keeping the same tyres from their early laps for the final runs, but the team still (like Red Bull) needed to save another set to give itself two fresh ones for Q3. So instead of doing an early run on Hypersofts as Red Bull did, Ferrari tried the Ultrasofts. And the drawbacks were immediately clear. Vettel was down in P10 after a mistake, 1.6 seconds off Verstappen’s P1 time, while Raikkonen abandoned his effort completely. Both were told to box with the intention of switching to the Hypersofts, giving them both an all-or-nothing effort in the closing stages of Q2. Vettel did protest the call, though. “I tell you, I have more than half a second [to find],” he told Ferrari over the radio, as well as complaining that his outlap had been too slow. Ferrari would not have any of it, though, not wishing to risk the call backfiring. Vettel moved onto the Hypersofts and, with Raikkonen, ensured his passage to Q3. Had he found the half a second he claimed was in his Ultrasofts, he would have sat P8 in the classification for Q2. The move perhaps had the act of breaking both Vettel and Raikkonen’s rhythm. Instead of finding more and more grip from session to session, going faster and faster, in relative terms, the Ultrasofts run in Q2 was a step back. Vettel had a face like thunder in the post-qualifying press conference, offering brief answers one would more expect from his Finnish colleague. For the second qualifying session in a row, his hopes of pole had been dashed. “It was clear what we tried to do, it didn’t work, but I think overall qualifying for us today wasn’t as smooth as it should’ve been,” Vettel said. “Difficult to get a rhythm, difficult to get a feel for the car, and in the end, the gap is quite big. I’m not worried about the gap, because I don’t think that shows how strong we are, but it’s just disappointing obviously today that we didn’t get the maximum out of our package. Was there a lack of trust from Ferrari towards Vettel to perfect his final run on the Ultrasofts in Q2? Or did they prefer to err on the side of caution? Regardless, could it cost the team tomorrow? Pirelli’s prediction for the fastest strategy is a one-stopper, going from the Ultrasofts to Softs. However, this is out of the question for all of the top 10, starting on Hypersofts. While they can complete a one-stop, also moving onto Softs, their earlier pit visits mean they are likely to drop back into traffic. Had Vettel been able to battle through on Ultrasofts, he would have been able to run the optimum strategy in the race. Qualifying in Singapore could easily have resulted in some big shocks. In the end, we were treated to a masterclass from Hamilton at the front of the pack. Red Bull will certainly feel it is in the hunt after Verstappen’s stunning charge, with the Dutchman even going as far to label it as the best qualifying of his F1 career. But Ferrari will be the team kicking itself tonight. It looked to be its qualifying to lose after FP3 - and lose it, it did. It’s another blow in the title race that is fast reaching a crescendo. 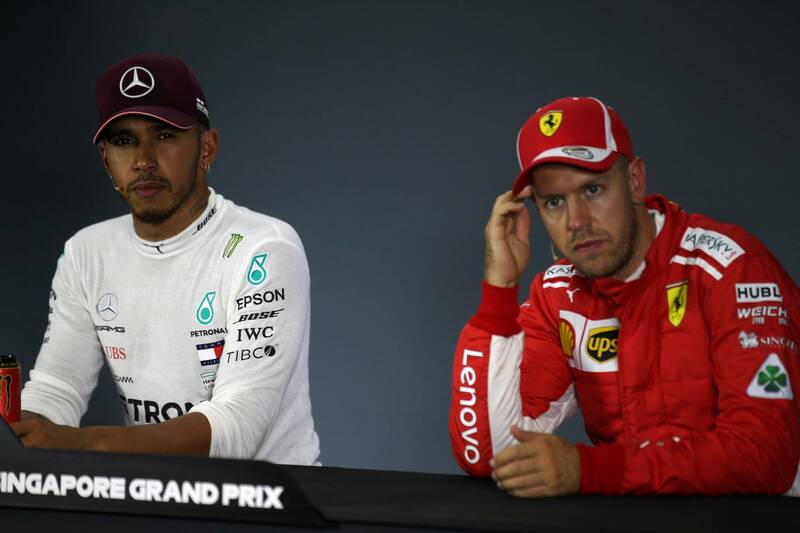 Two-tenths may have been the difference between being a genius and being an idiot, but what a crucial two-tenths they could prove come the end of the season.